Matt is responsible for running consulting operations, growing the utility advisory capability, strengthening quality delivery and developing new service offerings. He manages a large team of professionals to drive growth, solution design, capability, innovation, alliances, analyst relations, service delivery and operations. His team is responsible for providing mission critical services to many of Asia Pacific's leading utility businesses. Matt has 20 years of experience in utility businesses and technologies. He is experienced in building and managing globally distributed and diverse teams, and program delivery with sound technical knowledge in the utility domain. He has in-depth experience in strategic planning, driving operational efficiencies, compliance reporting, deployment of large scale projects and managing P&L. He has worked extensively with clients to help them assess, deploy and manage world class technology solutions. 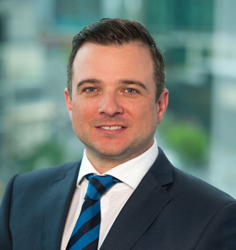 Matt is also a recognised speaker and panellist at national and international utility industry conferences.